As I continue to refine the rough edges of our new site and server infrastructure, it occurred to me that we were missing a good Search function to wade through all this wonderful content. So, I added such. 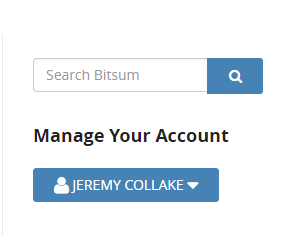 It is now shown in the right-panel ‘widgets’ and also at Bitsum Search”. In other news – While there is more site polishing remaining, it’s now mostly all together. Everything is functional, looks decent, and user migration is handled. I can once again devote most of my time to product development and user support. The new site simply had to be finished. Granted, it took longer than I expected, and we had some false-starts and errors. Next week we will do the final change to our virtual server farm, to improve web site speed and reduce the use of caches. That should be the end of the setup, and the beginning of wonderful things to come. Our new infrastructure enables so much, and that will be seen more clearly as we move forward. If you see any oddities, bad grammar, cheesy pages, bad aesthetics, or anything else worth noting, please let me know by submitting a Support Ticket using the ‘Help’ button in the lower-left.